Tiffany Gillespie is a strategic event coordination expert, small business development strategist and 4 time author. She is the lead designer and founder of To the 'T' Events and The Purpose Seekers Academy. From carrying around for a year a 3-ring binder filled with notes and inspiration to start her business to having her work featured on an historic episode of the Food Network’s hit show, American Diner Revival, Tiffany is the real the deal. She built her business from the ground up with blood, sweat, and tears - literally. In the face of multiple health issues that threatened to take her life and with numerous setbacks, Tiffany is a certified success. Just before having a crucial brain surgery, Tiffany made a promise to God that if He allowed her to survive she would live life out loud and walk in her purpose every day. 2 – time recipient of a Citation from the City of Philadelphia for entrepreneurship, civic responsibility & social justice. Recipient of a Citation from the State of Pennsylvania for civic responsibility and social justice. Immediate Past National Event Manager for Black Bride Magazine. National Event Manager for Business Babes, LLC. Co-Director for Mothers in Charge’s 1000 Women for 1000 Girls Mentoring Program. Television appearances as an expert on Fox 29 Philadelphia’s Don’t Save the Date wedding trend segment. Additional features including The Huffington Post, Clear Channel Radio, Diversity Woman Magazine, Brides Magazine, About.com, National Federation of Independent Business Magazine and more. She's not the entrepreneur who's received handouts or investments or crazy, overnight success. She's the entrepreneur who has worked over time and took a huge leap of faith to make her dream happen. Genesis Dorsey has a passion for connecting people to one another and to God. 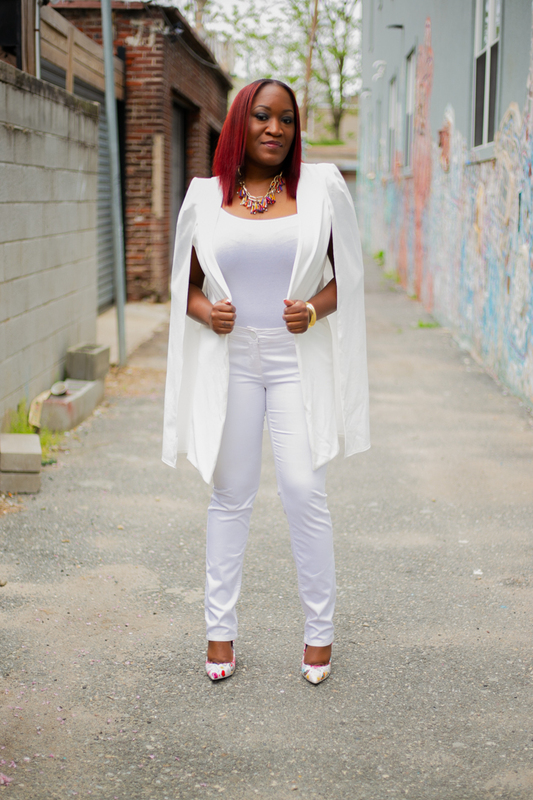 As a woman just in her early 20's, she has already established herself as a powerful connecting force in Branding and Ministry. As a serious advocate for connecting God with Business, she began her passion with graphic design as a teenager helping support her local church and update their look to the world. Her desire was to follow in her mother's footsteps and become the next psychologist in their family. However, God had other plans. She graduated high school from Red Lion Christian Academy in 2010. She then pursued a Psychology degree at Spelman College in Atlanta,GA. In the year of 2012, she left Spelman and returned back to Delaware to help run a family business. However, it was not under regular circumstances. In the beginning of 2012, she experienced a drastic family trauma. It was here that Genesis came to a major crossroad that would turn her into the woman that she is today. At the age of 19, she took over the family business and gave it a fresh look, doing all she could with limited knowledge and expertise. However, out of necessity, she began to learn how to hold the ropes and guide a business that had already been in existence for over 10 years. It was out of this frightful situation, that her true purpose was birthed. God began to reveal to her what impact she would have on the Kingdom of God, including businesses that she never even knew she was meant to serve. Genesis began to develop a more intimate relationship with God which cultivated her desire to reach women and youth around the world. In October 2012, she created Girls of Royalty, a Christian Ministry-Based Network for women of all ages and races. Through Girls of Royalty, Genesis began to mold and develop her strategies into helping others and connecting people to a brand. In 2014, she realized that many businesses and personal brands did not have the correct strategy to build up their image because God and original creativity was missing from the center. In April of that year, she opened up, GigiCreates (which later became GlamPrintGo), a design and brand company that helped clients realize and unwrap their God-given potential and turned them into brands that make a powerful impact for the Glory of God. She began to help churches, speakers, organizations, businesses, and corporations understand how to create honest and engaging brands. Genesis is one of the youngest leaders and creative strategists in the industry that seeks to help people understand that with God at the center, your dream and your goals are destined to become a reality. She continues to serve within the family business in every capacity that is needed. On her days off, she is heavily involved as the creative director at her local church where her parents are the pastors. Her motto is: It's all about Jesus and People.